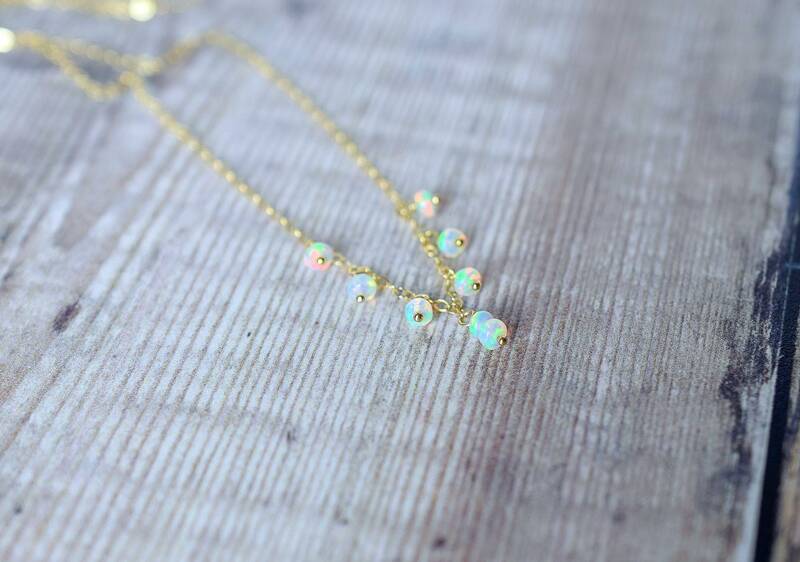 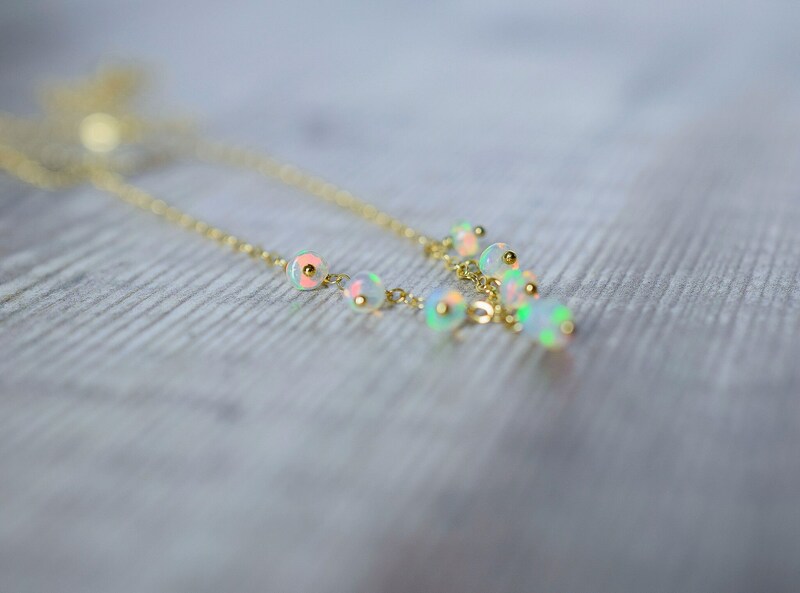 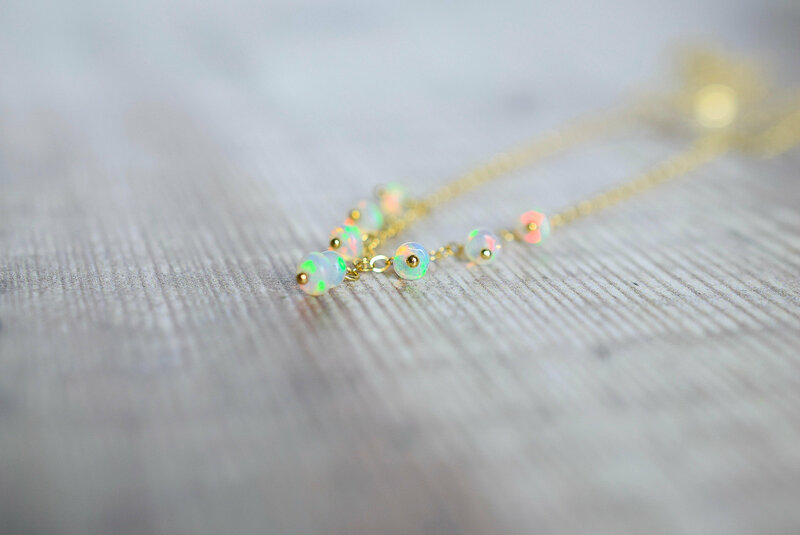 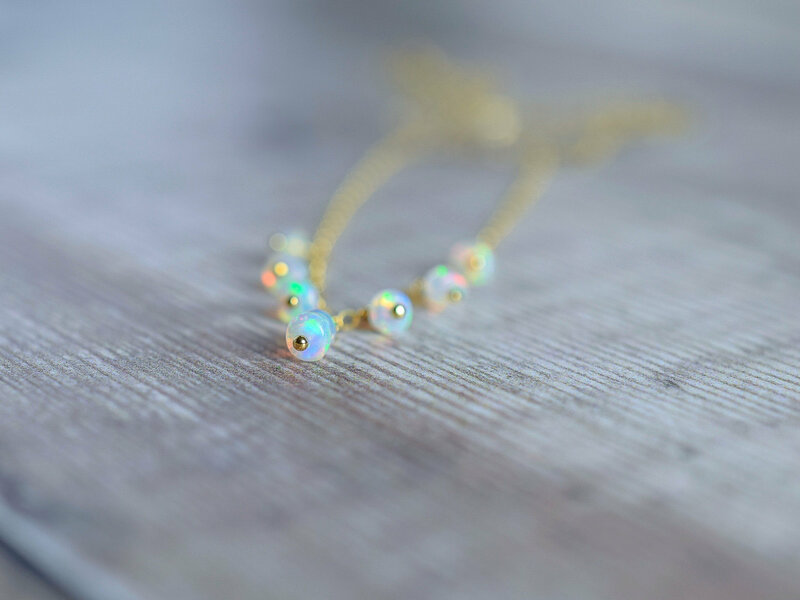 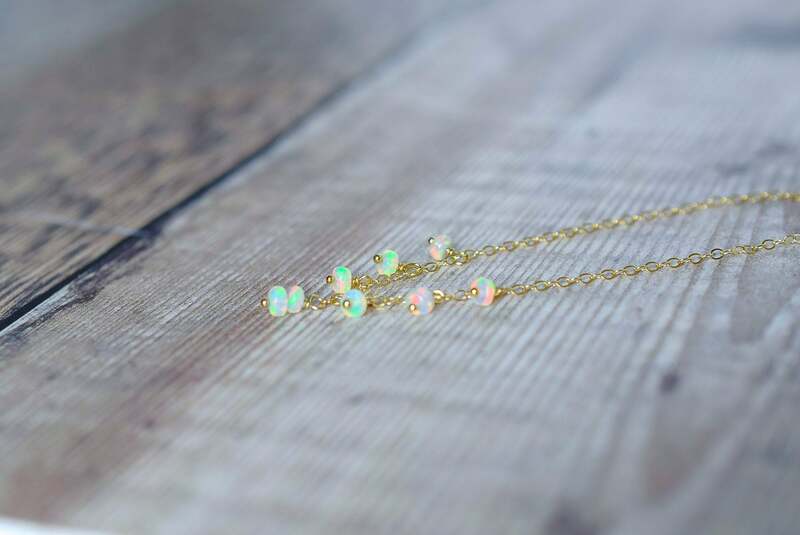 A delicate floating Opal necklace made with high quality smooth Ethiopian Fire Opal beads that are bursting with flash and colour. 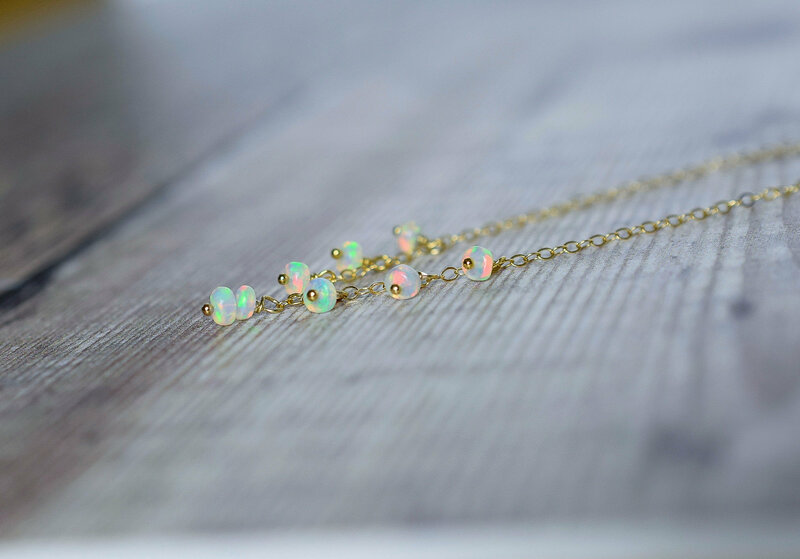 The Opals are strung on 14k gold filled wire and dangle from a fine 14k gold filled cable chain. 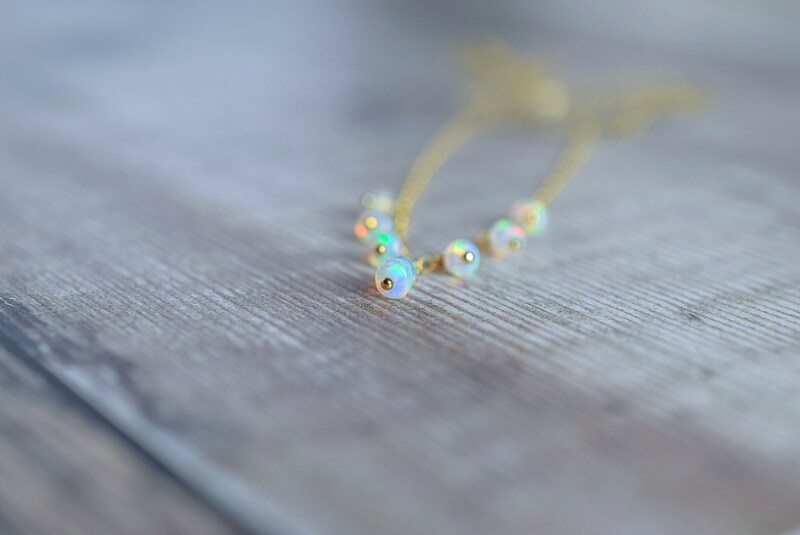 * The Ethiopian Opal beads measure 3.5mm each.